It seems HomePlug certified powerline networking components aren't as interoperable as it would first appear. I've been using Devolo Homeplug dLAN 200 desk units for a number of years now and they have been trouble free and constantly out perform wireless networking in terms of speed. I recently bought another Devolo dLAN 200 unit to expand my network to enable streaming video to a Windows Media Extender. I assumed it would be a case of just connecting it to the mains and using the Devolo dLAN configuration wizard to set all the units up with a new encryped password. I soon realised that this wasn't the case. The dLAN configuration wizard didn't even detect the new unit on the mains network. After looking through the manual for a while scatching my head searching for a non-existant troubleshooting guide, I spotted a paragraph that mentioned that older Devolo products using firmware 1.x need their firmware upgraded in order to work with newer models. Does your PC Keeping Forgetting the Date & Time? Yesterday my aging desktop PC decided not to boot, and instead displayed this helpful error "CMOS Checksum Error". In order to get it to boot into Windows I had to press Delete to go into the BIOS settings and change the configuration from "Halt on all errors" to "halt on no errors". Upon saving the BIOS settings and restarting the error disappeared. Sometimes though a PC with a dead CMOS battery will boot as normal but forget the date and time on each reboot. This can lead to odd effects. For instance I tried to logging into my webmail only to be told the SSL licence wasn't valid, not because it had expired but because my computer thought it was 2001! Once I got into Windows I got a few "Windows has found new hardware" messages and my system clock had reverted to a day in 2001. As soon as I saw my clock had forgotten the time and the date, all evidence pointed towards the CMOS battery being at fault. Its funny how a simple little battery that most people don't even realise existed inside their PC can bring a computer to its knees. 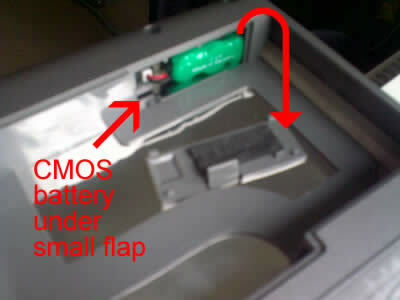 In a desktop PC the CMOS battery is fairly straight forward to find. They normally look like a large wrist watch battery, with CR2032 lithium batteries being the most common. A simple search on eBay will find you a cheap replacement. Just be careful removing and fitting anything on a motherboard, because any static electricity on your body could fry delicate computer chips. 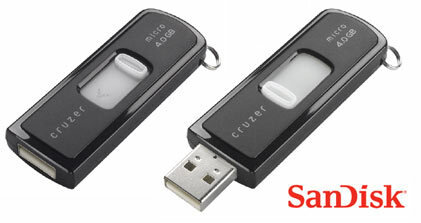 On a laptop or notebook they are more difficult to find and generally more expensive. 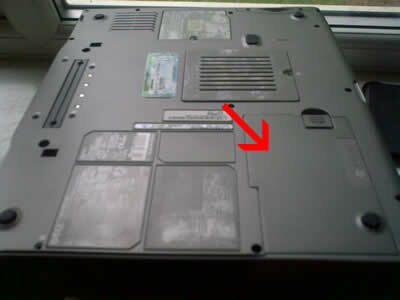 On my Dell Inspiron you need to lift out the main battery and pull out a small flap to locate the CMOS battery. My Dell just so happens to take a 7.2V 15mAh Ni-MH CMOS battery, which again, performing a quick search on eBay will find you a replacement. Fitting the new battery in either case is very straight forward. Read more about Installing a CMOS Battery here. Buying New PC Hardware? - Make Sure It Supports Vista! It's fast approaching the anniversary of the release of Windows Vista to business users, home users have been buying new PCs with Vista pre-loaded since the end of January 2007. I haven't upgraded to Vista yet; my DVD upgrade is still in its box. I've installed it a couple of times to have a play around with it, to see which pieces of hardware and software are compatible, but that's it. There are a couple of reasons why I haven't taken the plunge. Firstly, my PC can run the new Aero UI on Home Premium, but when I add the CPU monitor widget to the desktop to see how well it copes, it tends to max my processor out just opening windows etc. This is probably to be expected with a 4 year old computer. The second reason is the hardware and software support for Vista. You would have thought that manufacturers would have started to factor in support for a new Microsoft operating system, wouldn't you? The word that springs to mind when talking about Vista compatibility today is "patchy", and today is almost 12 months after the official launch! Most people who buy hardware or software for their PC will be expecting it to work with Vista out-of-the-box. 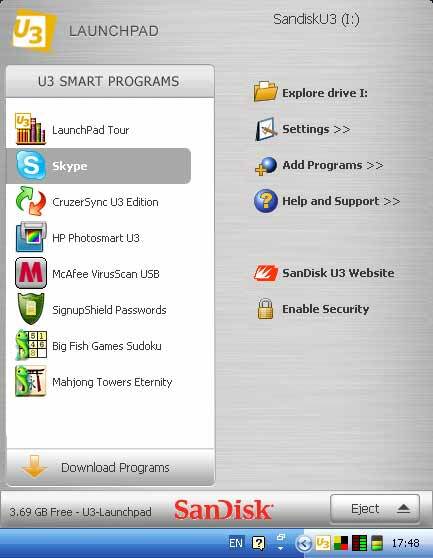 They don't want to be updating firmware, or worse still finding out that their new device only supports XP! Why does Microsoft bother having alpha and beta testing periods when the likes of Apple can't even make their flagship iTunes work? My advise to anyone thinking of buying a new piece of hardware or software is to make sure it supports Vista, even if you're sticking to Windows XP for the foreseeable future. You never know when you might buy a new PC, and do you really want to have to replace your hardware once you've upgraded to Vista? Live Earth: How can we help reduce our carbon footprint? After watching a few acts on Live Earth at the weekend I wondered how I could use this little space on the web to make a difference, and help reduce CO2 emissions. Then I remembered a PC Pro campaign launched in 2005 called "Switch IT off". Since then there have been lots of switch it off days to try and raise awareness. Essentially these campaigns are set-up to encourage businesses and home users to switch-off their appliances instead of keeping them in standby when not in use. PC Pro did a lot of research into office and home electronics. One particular phenomenon to which most non-IT people are unaware of is the fact that when you shut your PC down, it still carries on consuming electricity. 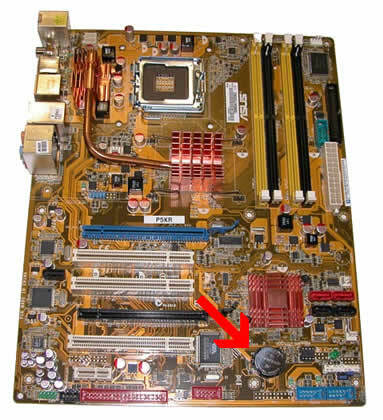 The ATX power supplies used in all modern desktop computers continue to supply the motherboard with a small amount of electricity to enable it to wake-on-LAN. Now the energy PCs use in this state is minimal, but it is still wasted energy nevertheless. The only way to completely shut a computer down is to turn it off at the mains, or flick the switch on the ATX power supply located at the back of the PC. The general message of the Switch IT Off campaign is to get people into the habit of turning appliances off rather than using the standby option. Offices that get their staff to turn their PCs and monitors off every evening could save thousands of pounds a year in electricity bills and help reduce our CO2 emissions. Just to recap, I bought Windows XP Media Center edition with an upgrade voucher to Windows Vista Home Premium last year. After sending off all my details to claim my Vista DVD and receiving it, I thought it best to clear some room on one of my hard disks and run Windows Vista Upgrade Advisor before I go any further. I had previously ran a beta version of the upgrade advisor prior to upgrading my OS from Windows XP Pro to Media Center edition and as far as I can remember all my hardware was compatible (software was another story!). However... While upgrading my machine to Media Center I also upgraded some of my hardware. I upgraded my wireless 802.11b Netgear MA111 USB stick to a US Robotics 5418 802.11g PCI adapter (This allows for video streaming around my house via my Xbox 360, and also reduces the amount of USB devices I have hanging off the back of my machine). I was also severely running out of disk space, so I added a SATA RAID card and bought two SATA HDDs so I could set up a mirrored (RAID 1) configuration for a little peace of mind). After running the upgrade advisor you can now probably guess what devices weren't supported in Windows Vista...Yep, the USR5418 wireless PCI adapter and the Adaptec 1210SA SATA RAID controller, typical I thought! I have checked the manufacturers' support sections for these devices, but future Vista drivers for them don't look promising. So unless I can find a driver that will work with these devices I don't see much point in upgrading to Vista at the moment. Can you imagine the Aero interface in all it's glory, but no data to access and no web to surf on!! The only other solution is to upgrade these components again, but I am reluctant to spend anymore money on my aging computer. So who is to blame for this lack of compatibility? The devices aren't exactly that old, Microsoft has had numerous beta versions of Vista available for hardware and software companies to test and develop for, but it seems they want you to buy the latest product instead. Even big companies like Apple had problems with iTunes after the Vista launch.